In the Company of Plants and Rocks is a natural history blog about botany, plant ecology and geology, mainly from a field perspective. I started it to discuss work and research, and to improve my writing, but the first objective was quickly abandoned and I have been writing about whatever excites me. 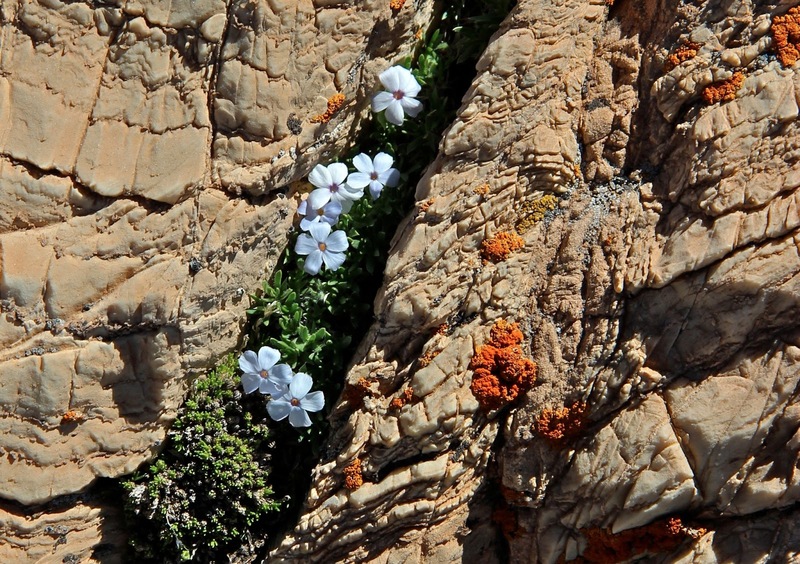 The header photo features Wyoming wildflowers growing amid stromatolites -- the lithified remains of two-billion-year-old marine algal mats now exposed at 10,000 feet above sea level in the Medicine Bow Mountains. They symbolize what excites me about geology -- the ability to peer far into the past, at worlds very different from today. The stories are awesome, in part because the scale of time makes them almost incomprehensible. Juxtaposed with ancient rocks are the alpine wildflowers we seek out each summer, hoping to share their very brief moment in the sun. 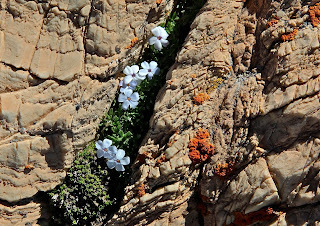 White phlox on an ancient fossilized algal mat; flowers are less than 1 cm across. Plants and Rocks is written by Hollis Marriott, with occasional contributions by friends. 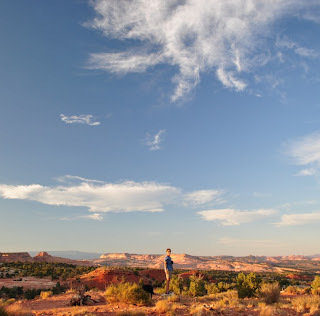 I live in Wyoming (USA), a state filled with fascinating botany and geology, and I take road trips elsewhere to enjoy the natural history of the American West, usually to the Colorado Plateau, Great Basin, eastern California deserts, and Central California Coast. My career as naturalist started as a kid playing with newts, water skippers and rocks in the creeks of the Central California Coast. Eighth grade was a watershed moment. I made my first plant collection and picked “Ice Ages” for a research paper. In English class, I recited The Road Not Taken by Robert Frost, and read an excerpt from Jack London’s Call of the Wild. Looking back, it seems my calling was clear. Five years later, I was an environmentalist, backpacker, disciple of John Muir, and student in molecular biology at Stanford University during the exciting days of early DNA mapping. 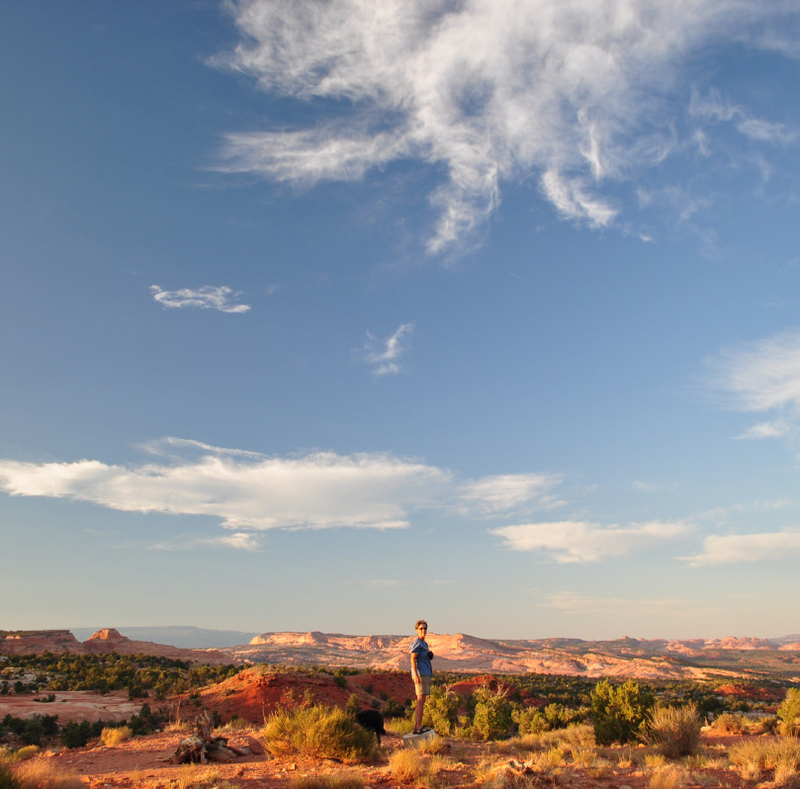 But working in a lab wasn’t for me, and I moved on to a life of outdoor recreation funded by seasonal jobs with the National Park Service, finally ending up in Laramie, Wyoming. After completing a Master’s degree in botany at the University of Wyoming, I became botanist and first employee of the Wyoming Natural Diversity Database, working on rare plant surveys, vegetation classification and mapping, natural area assessment, and other conservation projects. Since 1992, I’ve continued this work as owner and sole employee of Poorperson’s Enterprises. My interest in geology took off when I was a grad student in botany. To satisfy a non-major class requirement, I enrolled in “Regional Geomorphology” taught by Dr. Brainerd “Nip” Mears, Jr., and fell in love with the “Queen of the Earth Sciences”. Graduate-level courses in geomorphology and Quaternary paleo environments followed. Now I continue my studies via guidebooks, online resources (that’s how I discovered blogs), geology-oriented vacations, and by pestering any “real” geologists I happen to find in the field. In search of plants and rocks. Photo by Ronn Koeppel. Stromatolites? In Wyoming? That's got to be a heady experience being around something 2 billion years old and from the bottom of the sea! Yes, they really are inspiring. In fact, a stromatolite hike was my first "successful" post ... first one I was happy with. Thanks for visiting! Pleased to discover your blog while searching for info on acorn atole. Plants and rocks -- love 'em! Next time you're in central California, come visit Edgewood Park & Preserve in Redwood City. Lots of nice serpentinite, great wildflower displays in the spring. The Friends of Edgewood would be happy to show you around. "Unknown" -- thanks for visiting. I checked out the Edgewood P & P web page ... impressive with trails, ed center, etc! There must be a dedicated group of Friends, congratulations.